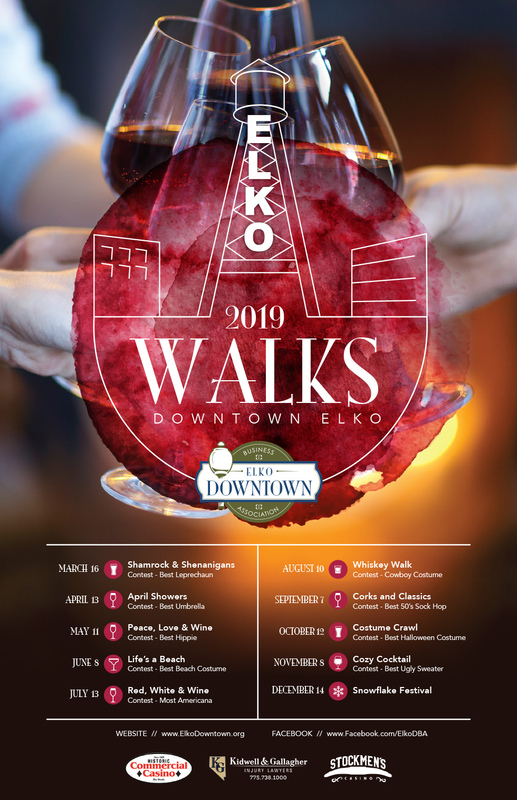 Downtown Elko's 2nd Saturday series begins with a special “April Showers” wine walk from 4:00 - 7:00 pm. Located at 501 Railroad Street, we look forward to seeing you! Read more about specifics of this the Wine Walk - there’s an umbrella contest! Sponsored by the Elko Downtown Business Association.